Looking for a high-quality, budget-priced overlocker for all your complicated sewing needs? 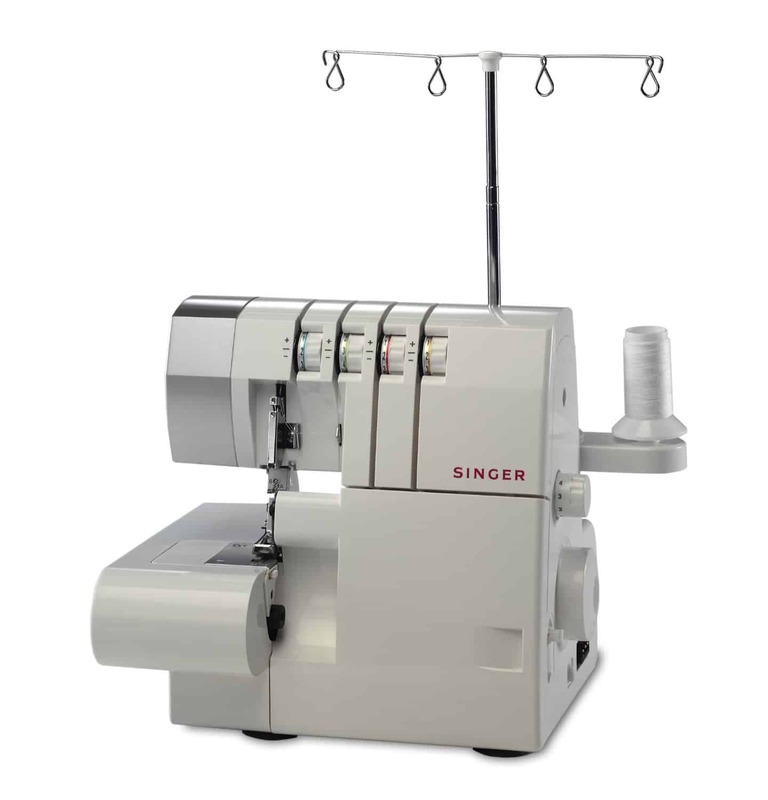 The Brother 2104D overlocker sewing machine might just be the product you’re after. Not only has to been designed to be easy to use, but it’s also incredibly lightweight and compact, so moving it from one room to another is possible with relative ease and when you’re finished with it, you’ll find it doesn’t take up a lot of space. The first and biggest draw to this overlocker though is the Brother branding. Known for their printer and sewing machines, Brother have a great reputation for producing high-performance electrical goods. However, we realise that simply telling you that it’s portable, lightweight and made by a renowned brand is not enough to convince you that it’s the overlocker you should part with your hard cash for. You need more than that, and that’s what this review aims to provide you with – a detailed look at what’s great and not so good about the Brother 1204D machine, so that you can make an informed decision after you’ve considered all the facts, figures, features and details. By far, one of the most important features to look out for when buying any overlocker machine is the differential feed. This is the component that enables you to use different kinds of fabric and produce the same smart and high-quality seams, without puckering and snagging or the stretched or wavy appearance that can commonly occur. The Brother 2104D overlocker benefits from this feature. 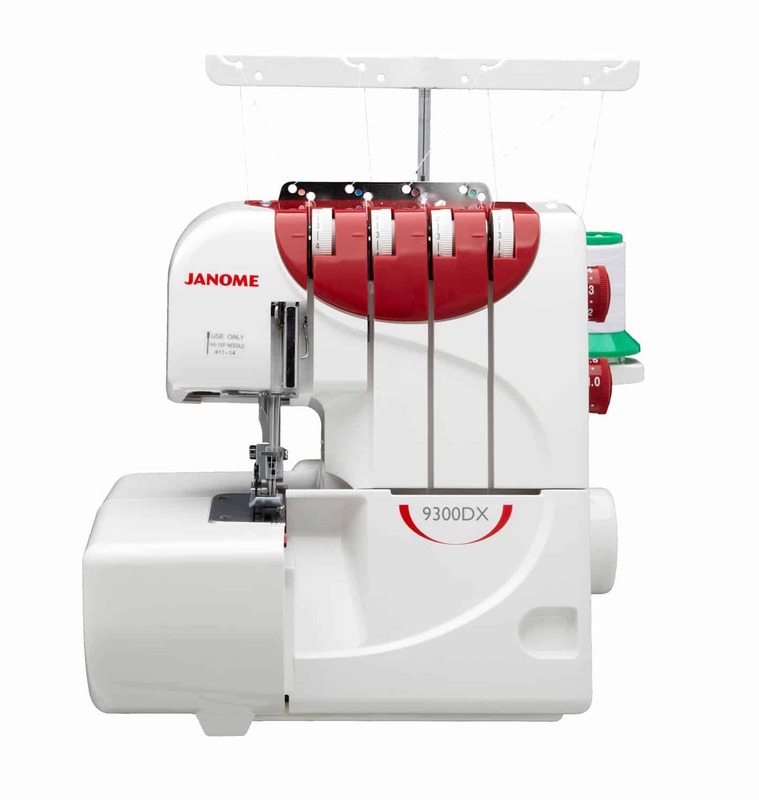 While some overlockers do not offer you the choice between stitching with cutting or without it, this Brother model does. The knife is retractable, meaning it doesn’t have to be used in every instance. That increases the flexibility and versatility of this machine. Another aspect of overlocker machines that is important to look is how easy they are to thread, because traditionally, they can be quite tricky. This Brother model, like many other from the manufacturer and other models from different brands has a very easy to follow system. It has a four-colour guide that makes threading the machine simple. The Brother 1204D also benefits from the easy-to-use threading system with the lower looper. Although it does not offer quite as much variety as other overlocker machines in terms of the type of stitches, there is still a nice selection to choose from. There’s both 3 and 4-thread sew-and-cut stitches. You also have the option of being able to adjust the width of stitches between 5 and 7mm. As noted earlier in this review, the Brother 1204D overlocker machine is a very compact and portable appliance. It measures 25 x 28 x 30cm and weighs a remarkable 6.5kg. 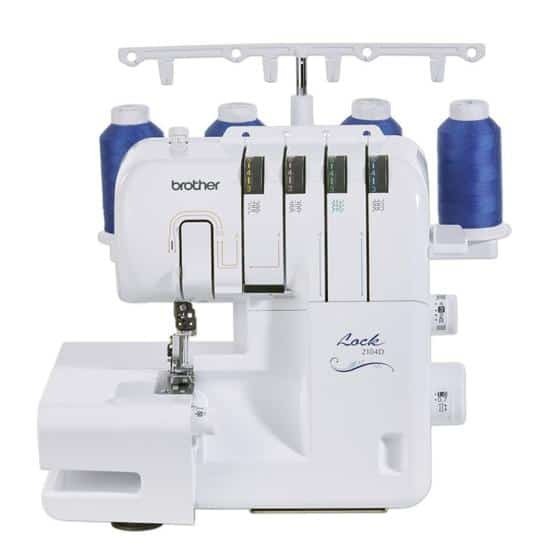 The reviews we looked at left by other customers regarding the Brother 2104D overlocker were all very positive. They liked the sturdiness of the design and the fact that it’s incredibly easy to thread. This is hardly surprising really when you consider it’s made by Brother. 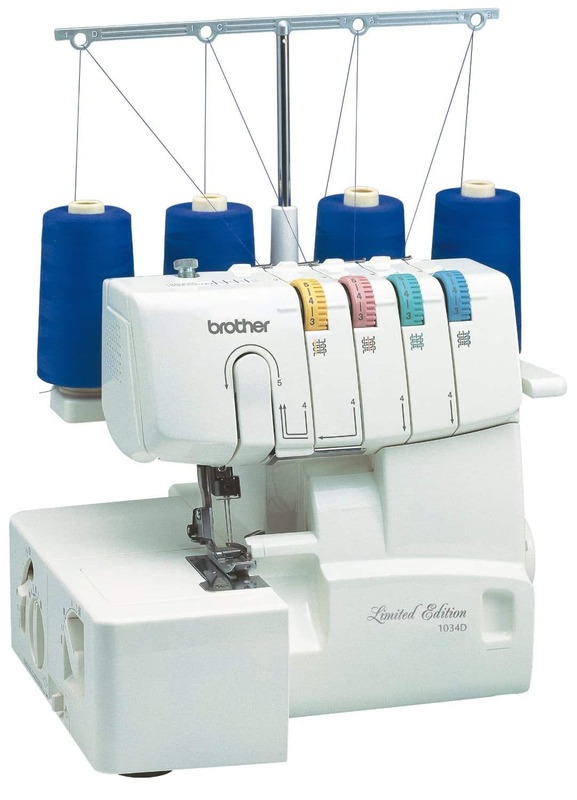 All in all, the Brother 2104D, despite not offering quite as many options for different stitching as others on the market for the same price, is still a worthy investment. It’s easy to thread, which means you don’t have to fuss too much setting it up – simply follow the instructions and the colour-coding and you’ll be fine. It’s also a lot smaller and lightweight compared to others on the market for the same price and the addition of a carry handle to the top makes it even more desirable. Although it has its downsides, its positives more than make up for these and we’re sure you’d have a lot of fun and find good use for this overlocker for your many different projects and tasks. OverlockerGuide.co.uk is a participant in the Amazon Services LLC Associates Program, an affiliate advertising program designed to provide a means for website owners to earn advertising fees by advertising and linking to amazon(.com, .co.uk, .ca etc) and any other website that may be affiliated with Amazon Service LLC Associates Program. Best Overlocker For A Beginner: The Top 3 Picks! Best Sewing Machine with an Overlock Function: Our Top 3! Copyright © 2019 Overlocker Guide.